Cherney Law Firm, LLC, is a solo practice law firm located in Marietta, Georgia. The firm is led by Matthew J. Cherney. Matthew has over ten years of experience solely in consumer bankruptcy and debt related matters. He is licensed with the state bars in both Georgia and Illinois. He has represented thousands of clients in all areas of bankruptcy and debt related matters. 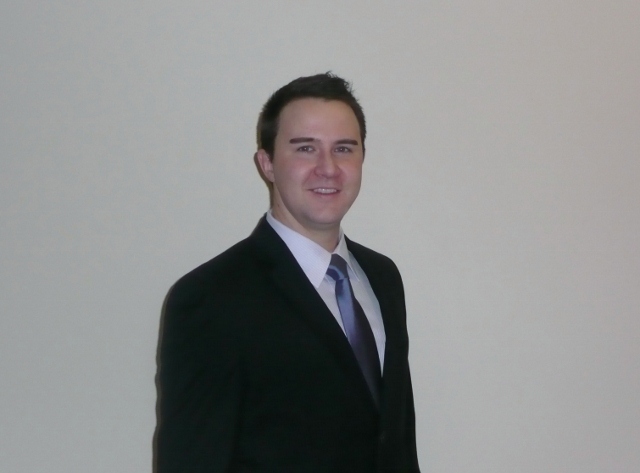 Matthew has previous experience at both large and small law firms. He is highly regarded by his peers and works tirelessly to obtain favorable results for his clients. Cherney Law Firm, LLC always offers a free in-person consultation. Cherney Law Firm, LLC, is a bankruptcy and debt relief law firm. Our focus is on you, the client. We will work directly with you to develop the best course of action for you and your family. Cherney Law Firm, LLC, is a solo practice law firm located in Marietta, Georgia. The firm is led by Matthew J. Cherney, a consumer bankruptcy attorney, with over seven years of experience solely in consumer bankruptcy and debt related matters. He is licensed with the state bars in both Georgia and Illinois. He has represented thousands of clients in all areas of bankruptcy and debt related matters. Matthew has previous experience at both large and small law firms. He is highly regarded by his peers and works tirelessly to obtain favorable results for his clients. During my time in practice in both Illinois and Georgia, I have worked for both large and small law firms. I have learned that clients desire two things: First, they want an attorney with experience. Experience is essential when dealing with bankruptcy and debt related matters. Second, clients want personal attention. At Cherney Law Firm, communication is top priority. From the day you retain Cherney Law Firm, I will ensure that your case is handled with the care and specific attention it deserves. After law school, I was admitted to the State Bar of Illinois and began my legal career in my hometown of Chicago, Illinois, where I represented clients in all areas of debt relief for a large firm. In 2008, I moved to Georgia and was admitted to the State Bar of Georgia. Over the years, I have gained experience at both large-volume and mid-volume consumer bankruptcy firms before starting my own practice in 2012. I now seek to provide personal attention and counseling for all of my clients, working personally with them from their initial consultation all the way through the completion of their case. Having represented over 2,000 clients since I began practicing law, I have helped to improve my clients' quality of life and decrease their financial stress. My clients can expect the highest quality legal representation, alongside thoughtful counseling and attention to detail. I dedicate my time to properly investigating every possible avenue of debt relief for my clients before filing bankruptcy. I seek to make each person that comes to me for help as comfortable as possible. I am licensed to practice in all state courts of both Georgia and Illinois, as well as in the federal courts for the Northern and Middle Districts of Georgia, and in the Northern District of Illinois. I am married and enjoy spending time with my wife and son.